Cirque du Soleil in Singapore, a music festival on a ship and other exciting things happening in November! A festival for wine lovers, Mandopop concerts galore and THE Halloween event of the year! F1 concerts, top-notch DJs in Singapore and mooncake season! 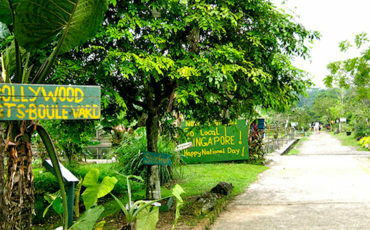 A gourmet food market, a night festival to showcase the arts scene in Singapore and of course, our National Day Parade! English football teams in Singapore, the LKY Musical and the one festive bazaar you won’t want to miss! 6-foot tall anime robots in Orchard Road, Pink Dot SG and some of the biggest sporting events of the year! Swan Lake in Singapore, a new kind of marathon (hint: no running) and the Backstreet Boys are back! This month’s events are all about affordable art, free ice cream and good eats from all over the world! An international food fair with celeb chefs and good eats, a Singapore-themed flea and Future Music Festival in Singapore! Forgot to plan something special for your Valentine? Here are some interesting date ideas that don’t require much planning (or money). A retro music concert that will bring back memories, Ben & Jerry’s Red Velvet ice cream and the biggest CNY celebration of the year! An international music festival, CATS The Musical and MAAD Pyjamas returns with a pop-up market!